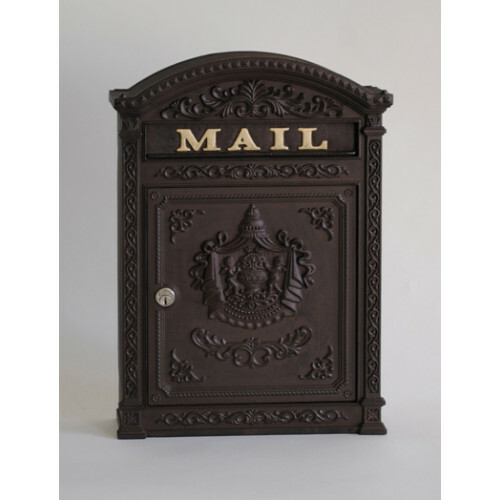 The locking E6 mailbox features highlighted classical motifs and details in relief, made of die cast aluminum with a durable powder coat finish. 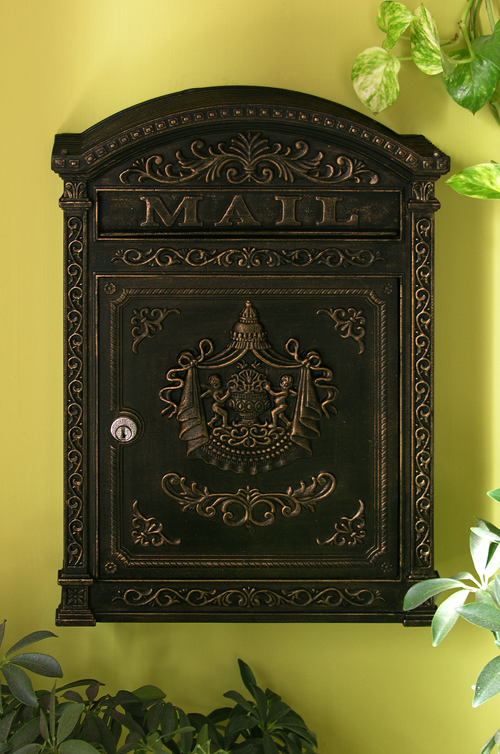 The decorative elements are accented by hand giving the finish a mottled and rustic appearance. 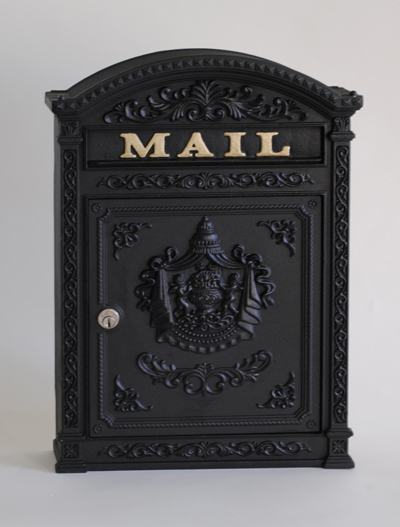 The slim profile makes the mailbox very compact despite its large front door and mail slot. 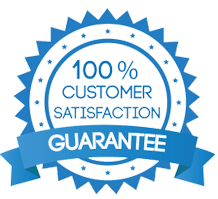 Hardware and two keys provided. 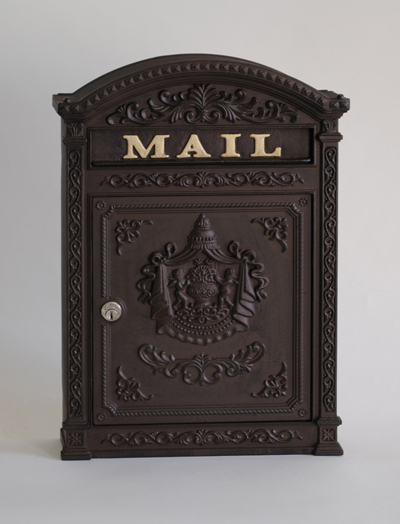 Front door: 8.5 W 10 H.
Incoming mail slot: 8.5 W 1.5 H.